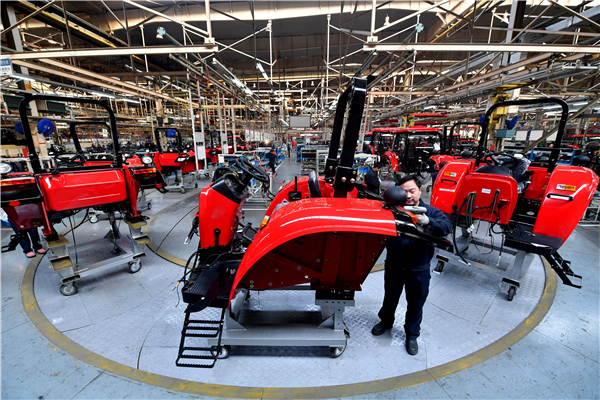 BEIJING — Activity in China’s non-manufacturing sector continued to gain steam in May, with the industry expanding at a faster pace for a third consecutive month, official data showed on May 31. The sector’s purchasing managers’ index (PMI) rose from 54.8 in April to 54.9 this month, the National Bureau of Statistics (NBS) said in a statement. A reading above 50 indicates expansion, while a reading below that reflects contraction. The pace of expansion was also higher than the 54.5 for May 2017. The service sector, which accounts for more than half of the country’s GDP, showed sound momentum, with the sub-index measuring business activity in the industry rising to 54 from 53.8 in April. The NBS attributed the strong growth to robust consumption during the period. The sub-index for new orders rose 0.1 point from the previous month to 50.4, showing faster growth in market demand. Faster expansion was also seen in air transportation, courier services, telecommunications and software, the NBS said. The data on May 31 also showed the PMI in China’s manufacturing sector came in at 51.9 in May, up from 51.4 in April.